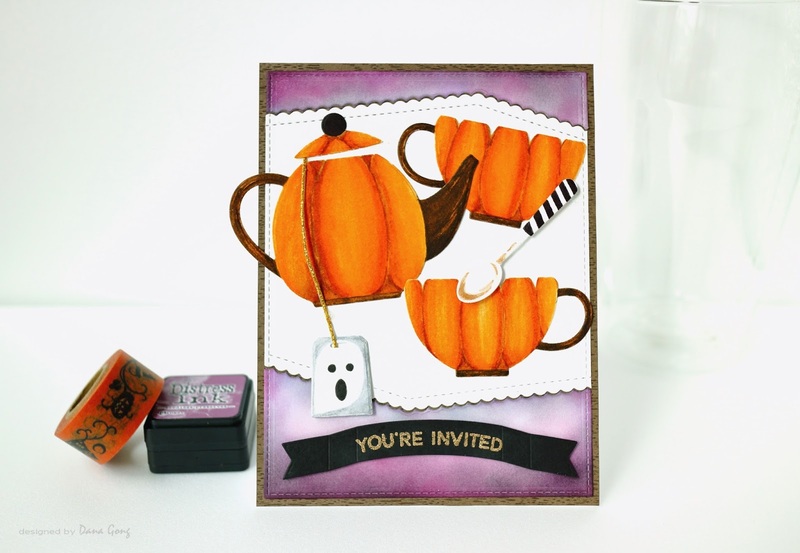 Today I'm sharing a tea themed card again with you using MFT brand new 'Die-namics Tea party' and 'Cup of tea' stamp set. I'm totally in love with these set as soon as I saw them in MFT countdown post and I made these set mine on their reveal day. Woohoot! 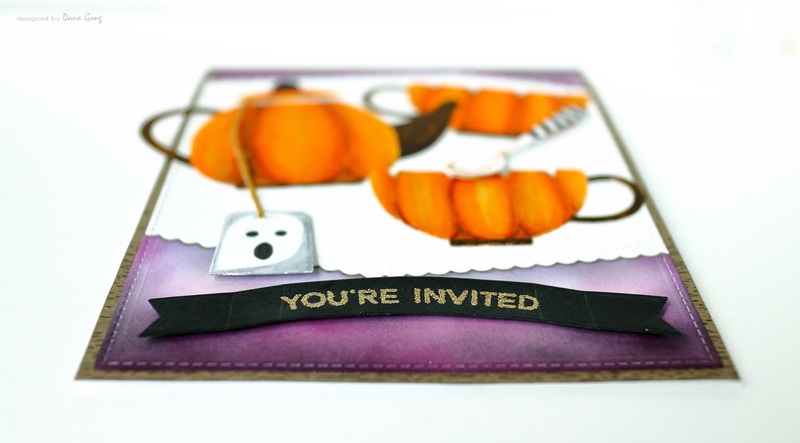 I started by die cutting all elements using 'Die-namics Tea party' and 'Die-namics Stitched scallop basic edges'. I also trimmed brown paper and mounted it on the white card base. 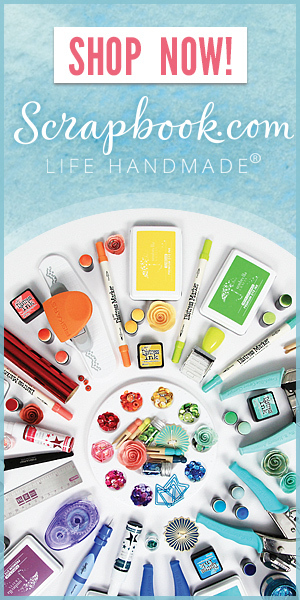 I then create my own pumpkin tea ware by coloring using Zig clean color real brush markers without water. I used Orange, Bright yellow, Mustard, Oatmeal ( body of teapot and teacups, tea spoon), Mid brown, Beige (rest part of tea ware), Light grey (teabag) and Black. After coloring, I fussy cut the top part of cups following my pumpkin sketch line to make them look more realistic. For top and bottom panel, I ink blended them with distress inks. I used 'Shaded lilac', 'Seedless preserves' and 'Black shoot'. 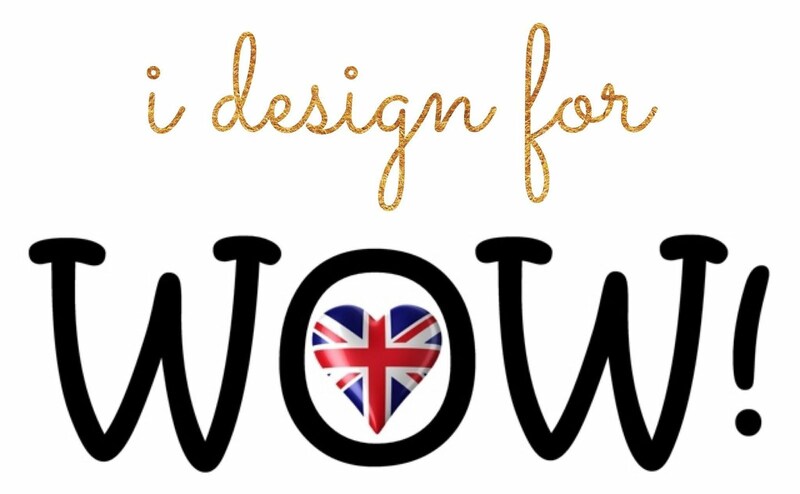 I die cut for sentiment banner from 'Blueprint 5 Tag builder' and I gold heat embossed it after stamping sentiment from 'Cup of tea'. 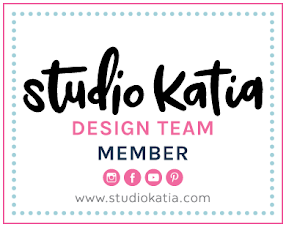 For tea bag string, I adhered gold glitter washi tape on the piece of card stock and die cut it using 'Blueprint 26'. I then mounted all elements using glue tape and foam tape on the card base. 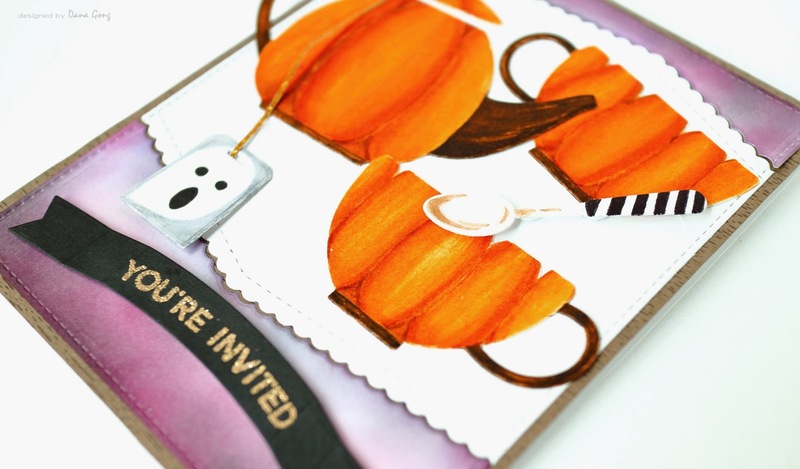 You are invited to Halloween tea party :) Thank you so much for stopping by! 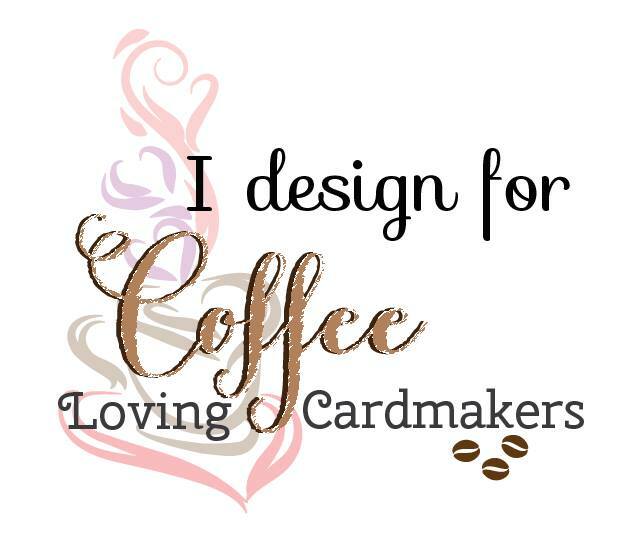 * This card is my entry for MFT 2016 Card Design Superstar Contest. Love this card! Very creative, and love the colors too! Thank you for your sweet comment, Karen! Dana: This card was so creative and took my breath away. You are extremely talented! Congratulations on your win. Such a clever card and so well executed. I can't still believe it! Thank you so much!! Thank you, Nancy! You are so kind! Such beautiful autumn dishware! It would be fun to own a real set of dishes like that. Congratulations on your Superstar honor! Aww another superstar is here! Thank you so much, Kara!! 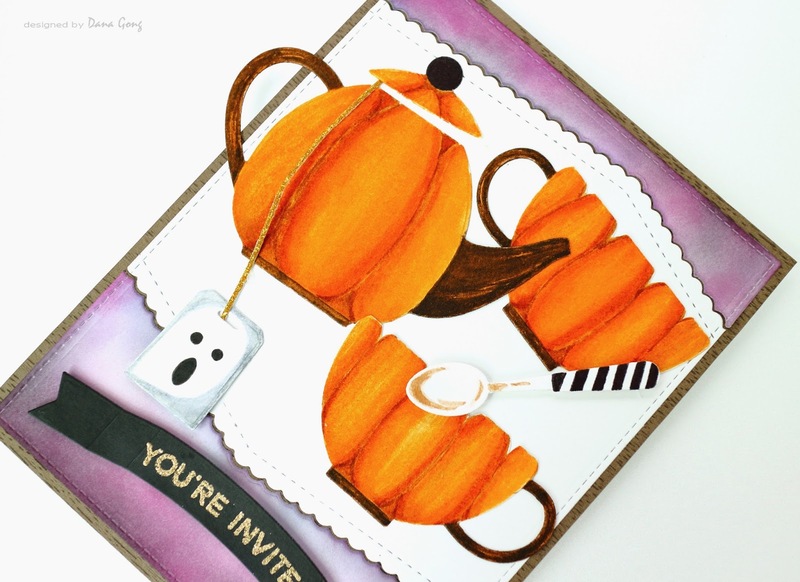 Spooky cute, right down to the teabag! Congrats on your Superstar win! Happy shopping for more MFT goodies! So glad to hear from you, Donna! Thank you so much!! Pumpkin tea cups and haunted tea bags... this is sooo good and creative! The no line coloring is amazing, your talent has no limits! Congratulations on your well deserved win, Dana! You just won something else... a new subscriber :).